The Renaissance Ring – Anello del Rinascimento is an excursion itinerary for getting to know the surroundings of Florence, fascinating for their landscape and nature as well as for the art and history they contain. There has been a strong unbroken tie over the centuries between the city of Florence and the surrounding countryside; the sharing of knowledge and experience has been extremely fruitful and never one way, which is something you can feel to this day by walking through the nature of the countryside and encountering the many examples of its art and history. The whole Renaissance Ring is about 170 kilometres long and is ideal for walking or mountain biking; in drafting it we came across parts of the old Florence road network, now in disuse and disrepair, and we kept away from tarred roads save for a few exceptions. Vertical and horizontal signs accompany tourists and guide them on their way, and since each section of the Ring has a public transport link with Florence it can also be enjoyed as a separate unit. Walking over the hills, in the woods, by the ploughed fields, the visitor crosses areas of great landscape significance. 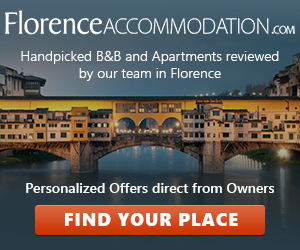 You encounter monasteries, castles, hospices to welcome pilgrims, ancient walled communities, country churches, sections of paved roads that go back to Roman or Medieval times and ideally our eye is always on the old centre of the city of the lily whose focal point is the dome of the cathedral, the masterpiece of Filippo Brunelleschi, which identifies Florence. APT has published a map-guide that describes the Renaissance Ring with great clarity. For local walking tours, there are professional environmental guides on hand. In addition to accompanying and providing technical assistance, they can also illustrate the features of the land, its ecology and how it has interacted with human settlements. The description of the itinerary.